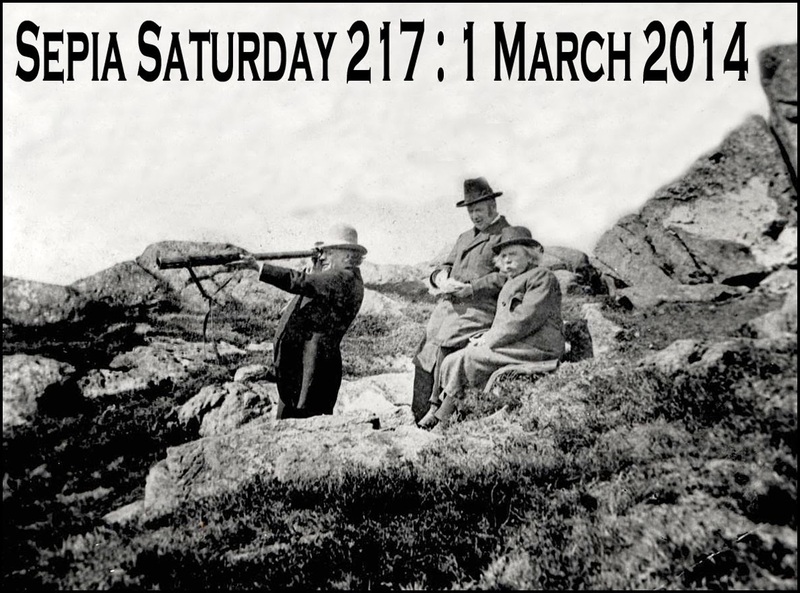 Our Sepia Saturday theme image this week features three men up a mountain. One of them is the Norwegian composer Edvard Grieg who composed the incidental music to the Ibsen play, Peer Gynt. The play is all about the search for love and self in a world populated by trolls, gnomes and witches : just the kind of assembly you might find on top of the Druids' Altar, a rock formation between Keighley and Bingley. On this old vintage postcard from the collection of my Great Uncle Fowler Beanland, there is a fine looking Edwardian Lady rather than a collection of Norwegian composers or Scandinavian deities, but it is as close a fit as I could find. Turn the card over and you discover a piano concerto of a puzzle. 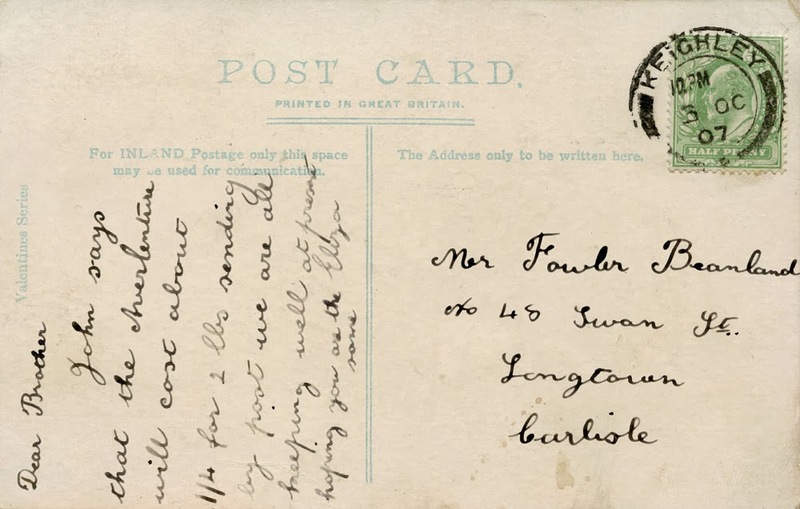 The card comes from my Great Aunt Eliza and informs poor Fowler that it will cost 1/4 for 2lbs of something or other to be sent to him by post. But what is to be sent? To me, the word looks like "Averlenture", but what on earth is that? Google has never heard of "averlenture" (although in a day or two this post will become the only description of the substance known to mankind) and I can't come up with any other interpretations of the writing. 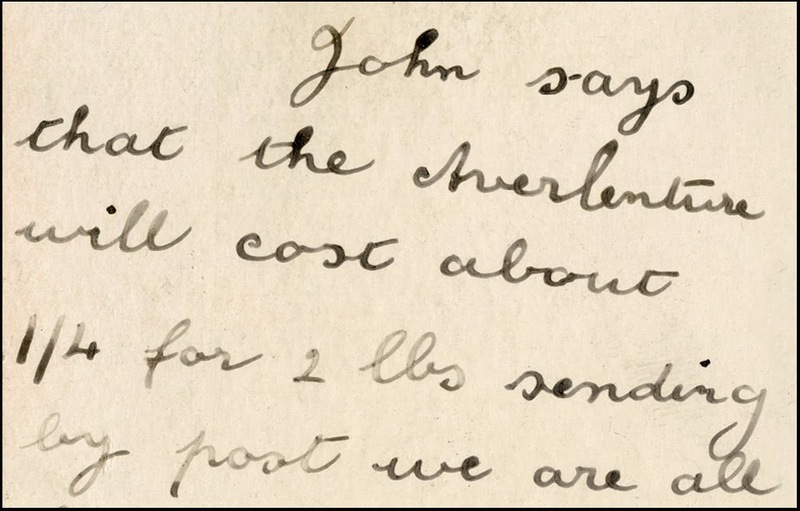 So, as usual, we are left with endless questions : did the Averlenture arrive on time, was it worth the 1/4d postage, and what exactly did Fowler do with it. Polished the marble walls of the Hall of the Mountain King, no doubt. 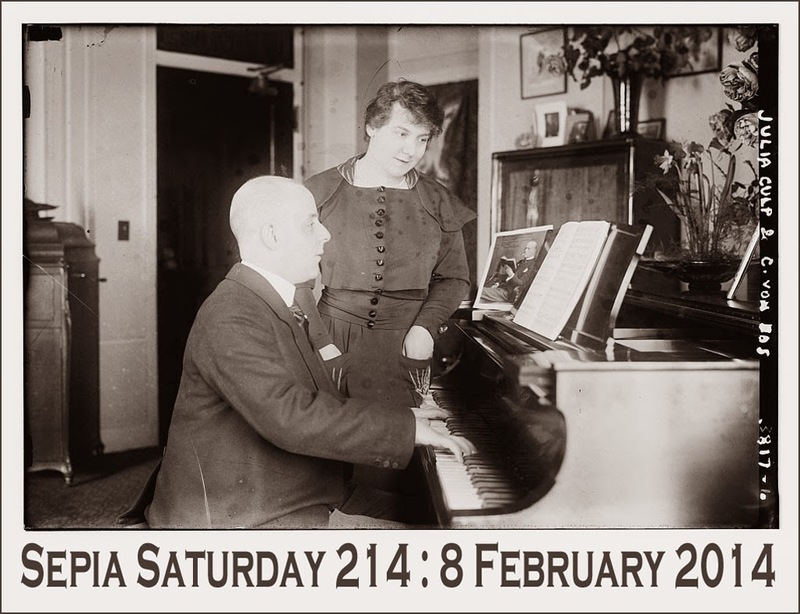 You can find all manner of connections, puzzles and strange words by following the links on the Sepia Saturday Blog. We tend to decry modern journalism for the emphasis on compressed news items which cover great events with all the depth of a plastic paddling pool. We poke fun at text messages and Twitter for encouraging a situation where our appetite for words is restricted by some digital gastric band. But as my exploration of the local and regional newspapers of 1914 constantly shows - little is new in this world of ours. Take this almost random cutting from the Western Times of 23 February 1914: four brief articles, each providing a snapshot of history at a moment in time. 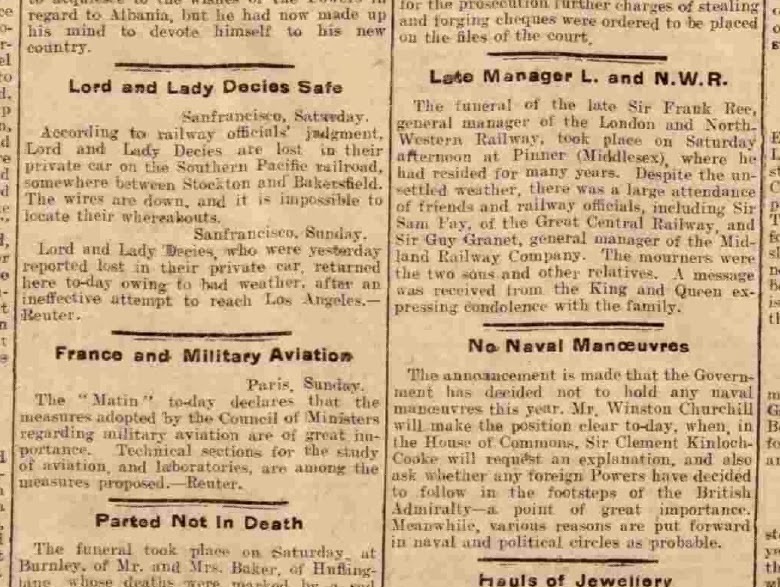 According to railway officials' judgment, Lord and Lady Decies are lost in their private car on the Southern Pacific railroad, somewhere between Stockton and Bakersfield. The wires are down, and it is impossible to locate their whereabouts. 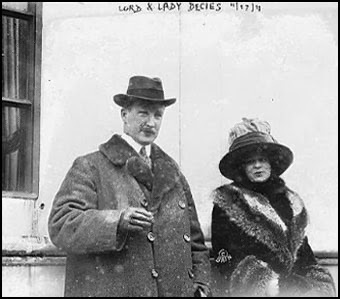 Lord and Lady Decies, who were yesterday reported lost in their private car, returned here today owing to the weather, after an ineffective attempt to reach Los Angeles. The "Matin" today declares the the measures adopted by the Council of Ministers regarding military aviation are of great importance. Technical sections for the study of aviation and laboratories are among the measures proposed. Late Manager L. and N.W.R. The funeral of the late Sir Frank Ree, general manager of the London and North Western Railway, took place on Saturday afternoon at Pinner (Middlesex), where he had resided for many years. 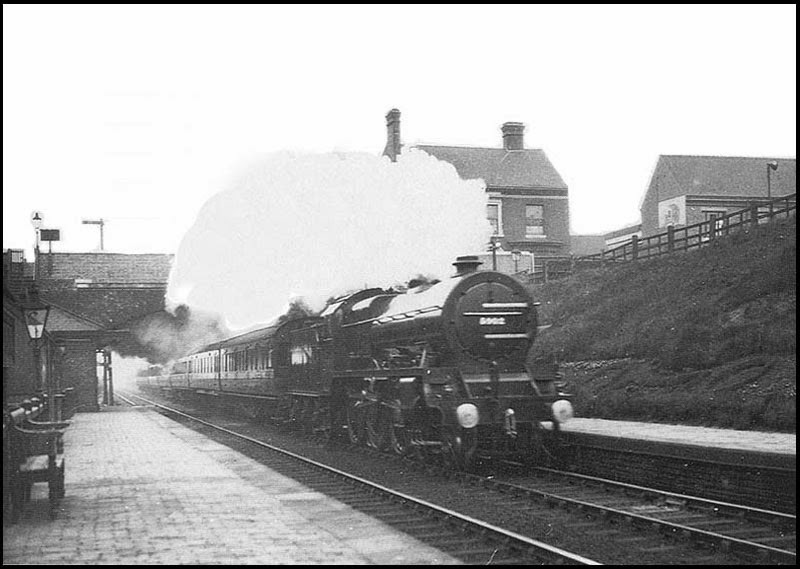 Despite the unsettled weather, there was a large attendance of friends and railway officials, including Sir Sam Fay, of the Great Central Railway, and Sir Guy Granet, general manager of the Midland Railway Company. The mourners were the two sons and other relatives. A message was received from the King and Queen expressing condolence with the family. The announcement is made that the Government has decided not to hold any naval manoeuvres this year. Mr Winston Churchill will make the position clear today, when in the House of Commons, Sir Clement Kinloch-Cooke will request an explanation, and also ask whether any foreign Powers have decided to follow in the footsteps of the British Admiralty - a point of great importance. Meanwhile various reasons are put forward in naval and political circles as probable. One can look back at these snapshots with the hindsight of history : and what an interesting picture is revealed. John Graham Hope de la Poer Beresford, 5th Baron Decies, who was lost and then quickly found, lived on until 1944. A keen polo player, he served as Chief Press Censor for Ireland before going on to become a Director of the British Income Taxpayers' Association and suggesting that the time may have come for the rich to take their wealth out of the country. How lucky we are that he was not lost in his private car en route to Los Angeles. Sir Frank Ree was eventually remembered in a way that all railway men would love to be remembered, by having a train named after him. A L.M.S. Patriot Class engine, it was built in Crewe in 1933 and eventually withdrawn from service in 1965. No doubt when the time came its loss was mourned by many a train spotter, although it is unlikely that the Queen sent her condolences. As far as the naval manoeuvres of 1914 are concerned - we all know what happened to them. 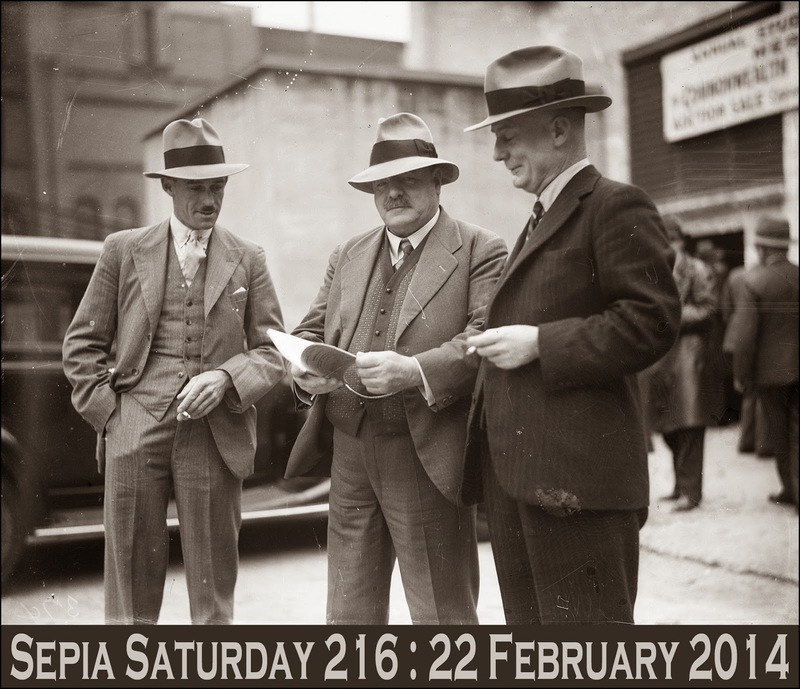 Our Sepia Saturday theme image this week features a trio of men in suits. My submission matches the trio and there is one suit featured, but there the similarities end. My photograph is a Victorian Cabinet Card which I bought at an antique centre for either £1 or 50p and for that I acquired a fine old photograph and a moment captured in time. 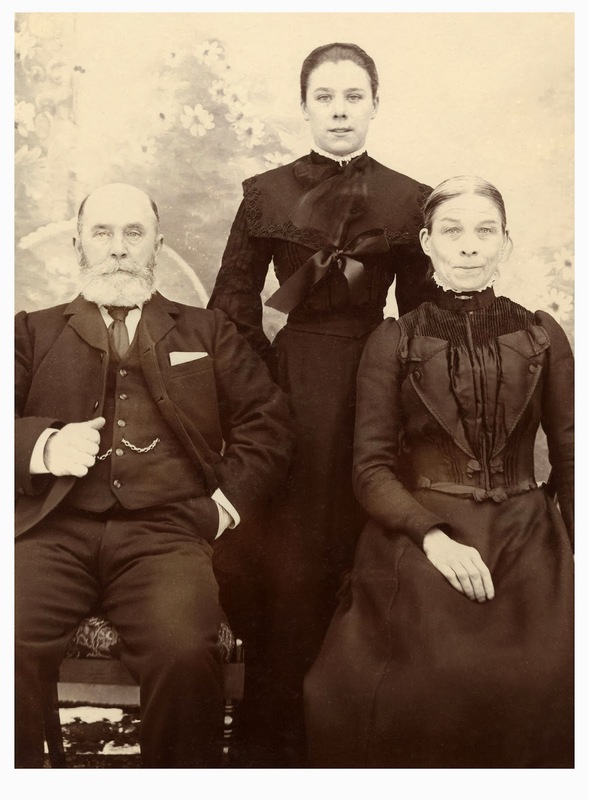 As I look at the photograph, more and more I see three lives confined within Victorian starched cloth and Victorian starched mores. They are like real three dimensional faces pushed through holes in wooden pre-painted screens. Victorian times were strange times : times when flesh and thoughts and hopes and passions were hidden beneath layers of sepia serge. Even by the time of our theme image (the 1930s) men were still confined within the discipline of never-changing style. In my wardrobe hang half a dozen suits and I don't think I have worn one of them in the last six months. Some days my trousers are red, some days blue, some days green and some days brown. There rarely is a jacket in site, but if there is, it is guaranteed not to match. My clothes are unfashionable, a touch scruffy, sometimes a little loud, and slightly eccentric. They match me perfectly. Take a look at what others are doing this Sepia Saturday by going over to the Sepia Saturday Blog and following the links. 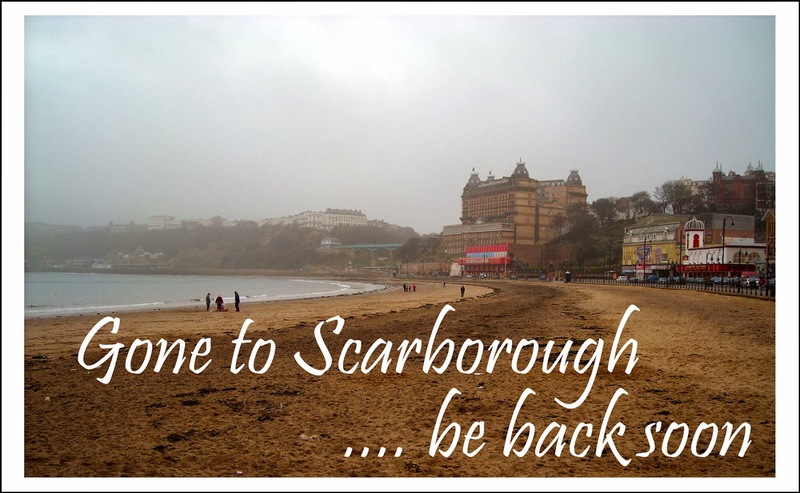 Back from a few days in Scarborough where the weather did a passable impersonation of Spring. 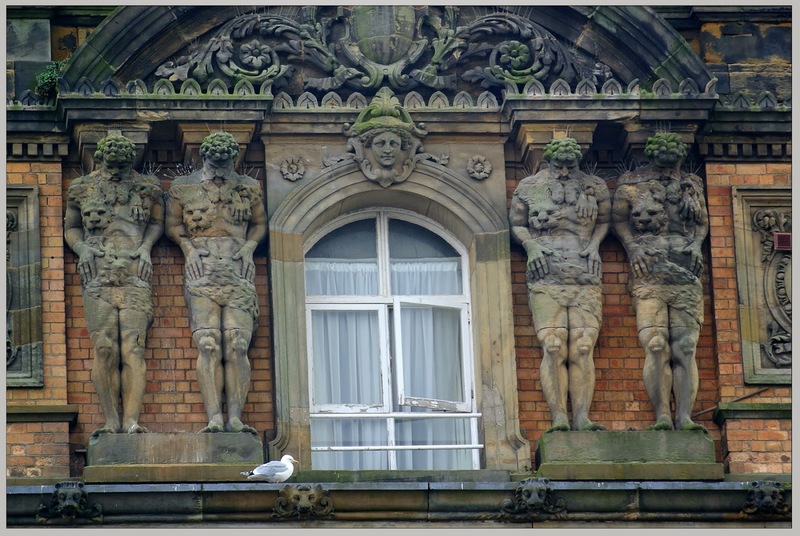 My photograph features just one of the windows of the magnificent Grand Hotel which stands like a Victorian Whatnot above the South Bay cliffs. 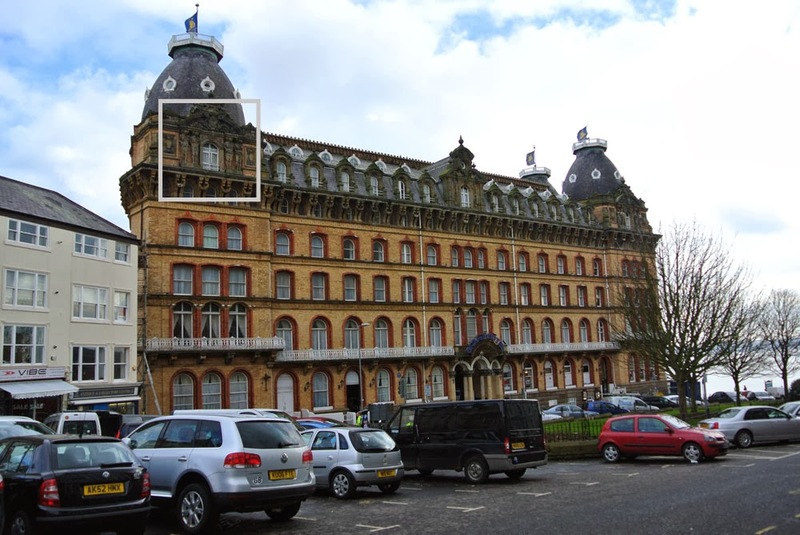 When the hotel was built in 1867 it was said to be largest purpose-built hotel in Europe and it was a showcase for the kind of engineering and technological inventions that the Victorians loved. The internal plumbing delivered hot and cold freshwater and seawater and a complex system of electric bells and speaking tubes were said to put all guests in instant communication with the hotel management. A lift provided ease of access to each of the main floors from the foreshore, although according to this review in the Nottinghamshire Guardian of 18 September 1868, the experience of this contraption was a mixed one. "My first impressions were not agreeable: it looked to me rather like a private execution "limited". I am told that some lifts are prettily fitted up; but at the Grand the apparatus is grim and bare. A grim boy stands by your side; he tells you gruffly to "stand more towards the centre"; you almost feel as if pinioned; you see a long rope, and, as he shuts the lower doors, you are metaphorically and literally, quite in the dark. Then the floor moves, and you are lifted smoothly enough I own, but still strangely. Light comes in from the top, and you see the solid walls glide downwards, as banks and trees seem to rush by the sweeeping railway train, and you get out on the fourth or fifth floor, to find yourself in your bedroom, without stirring a step "upstairs", just as in a dream, one jumps from a precipice to awaken with a start in bed. The time may come when stairs will be obsolete institutions and lifts as common as gaspipes ... but it will require some amount of use to make them agreeable"
The lift apart, the reviewer seems to have enjoyed his stay at the Grand, saying that "the waiters, nearly all foreigners, are very attentive and not rapacious", and that you can get "a drinkable Beaujolais for 2s 6d a bottle". During the latter half of the nineteenth century, the hotel sought to capture the winter tourist market by boasting that its rooms were "warmed by Haden's Apparatus (a form of early central heating which made use of steam and hot water). Luckily, there were not too many people enjoying winter residence in January 1915 when the hotel fell victim to one of the most audacious attacks of the Great War when it was shelled by a German Battleship. Some thirty shells fell on the building and there was widespread damage to the restaurants and picture house, but luckily, nobody was killed. 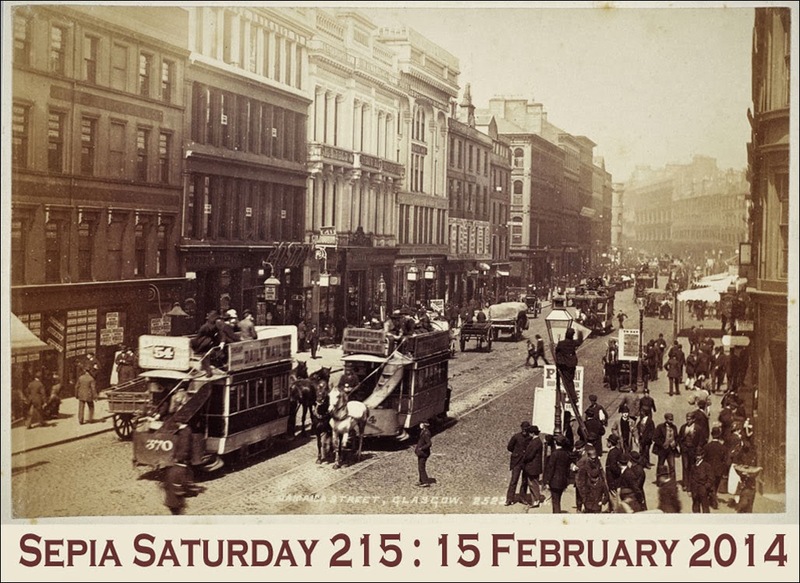 Our Sepia Saturday theme this weeks features a picture postcard of a remarkably busy Jamaica Street in Glasgow. There are horse trams and carriages and people bustling along the crowded streets against the backdrop of a rather good photograph. 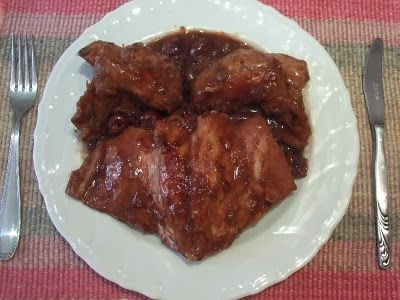 And the whole thing is served up in a pleasing sepia glaze. My Sepia Saturday entry is also a postcard and dates from around about the same period of time (at a guess mine dates from 1904/5). I match the crowded street and I can set horse tram against horse tram and come out tops. 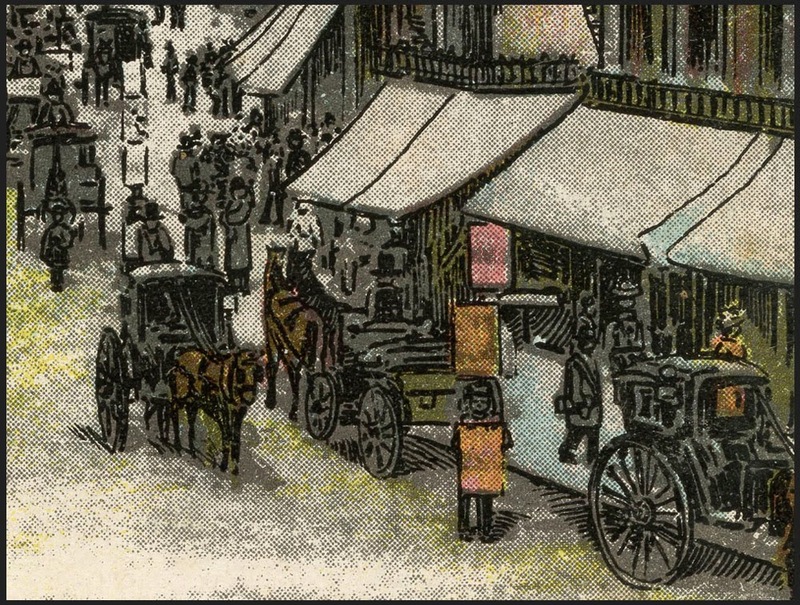 My Regent Street view has a clutter of carriages and Lowryesque figures stalking the sidewalks. And mine is in colour! But, quite clearly, colour isn't everything. The pin-sharp sepia is replaced by Primary School daubs of dog-sick yellow. The detailed photogravure is replaced by clumsy clumps of ink. 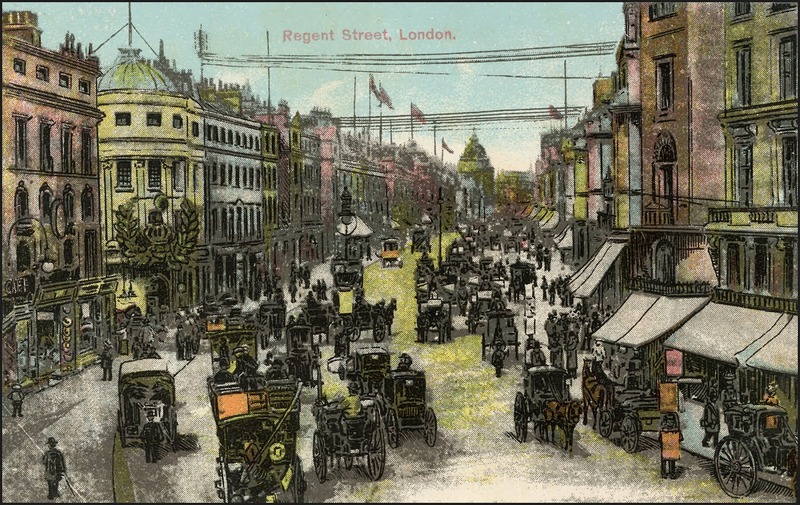 Both postcards show crowded scenes of 100 years ago, but my postcard merely provides a hint of what the world was like compared to a first class seat in a photographic time machine. You can travel back to the past by visiting the Sepia Saturday Blog and following the various links. Strange weather over here at the moment. It has been raining since November and large parts of the country are under water. Yesterday, 100 MPH winds blew the Irish Sea all over Lancashire, but between the storms, the sun shines and the clouds imitate cotton wool clusters. 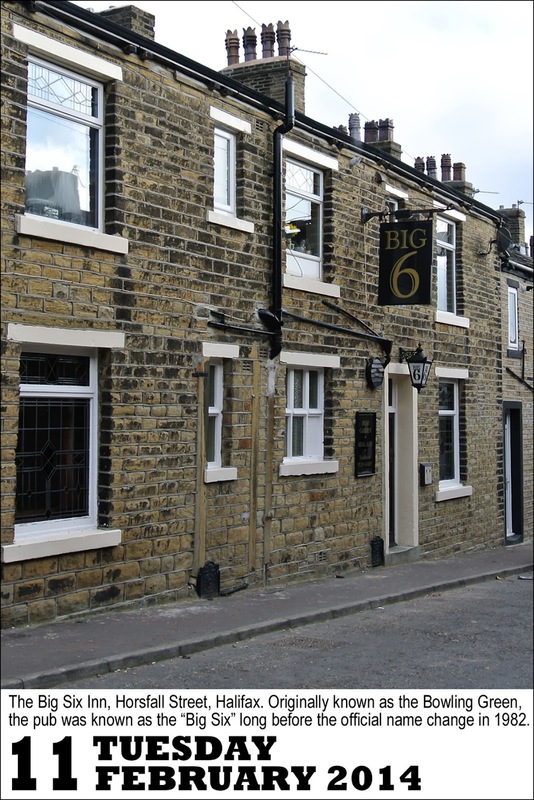 This picture was taken in Brighouse just an hour ago. The large building in the distance is the old flour mill which is now - appropriately enough - an indoor climbing centre. Rachel looks strangely inviting and, if the rain continues, she probably represents a sensible investment. I bought a bound volume of the New Penny Magazine dating from 1900 when I was at the antique market the other day (the price worked out at just 20 pence per magazine). 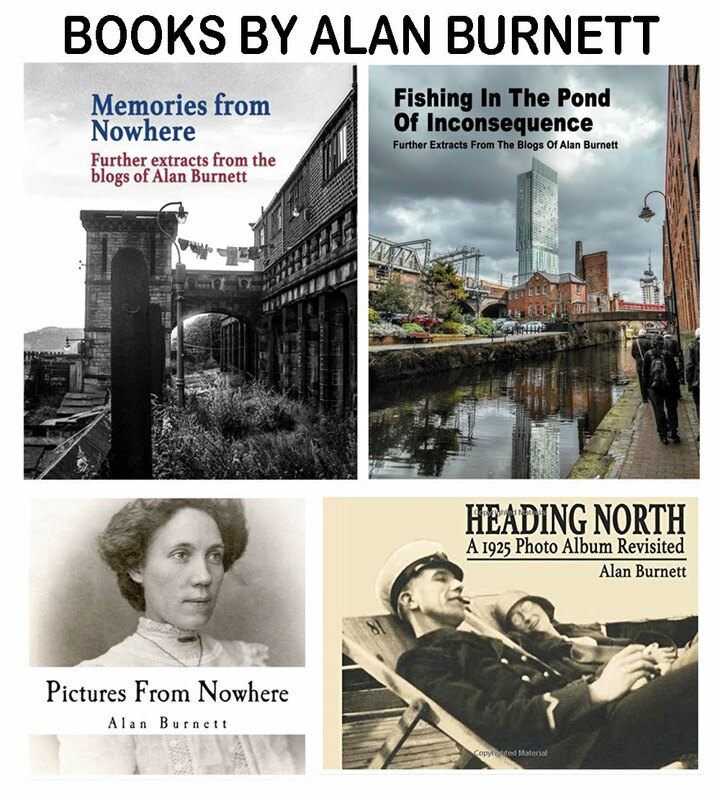 Each issue of the magazine is brown with age and interest, and I can while away the hours whilst Britain sinks under the storm-driven flood waters by reading the fascinating articles. 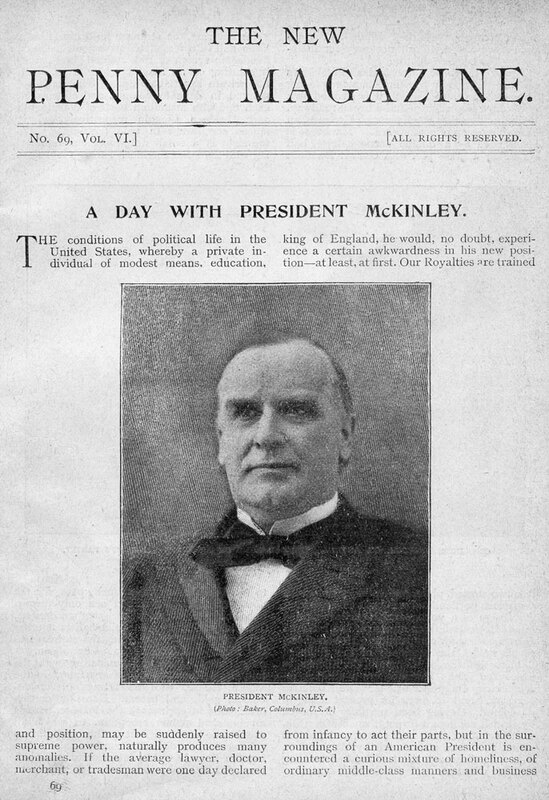 The lead article of the first issue in the volume is entitled "A Day With President McKinley", and is full of fascinating detail about the day to day life of the American President. The White House is described in loving detail and the fact that the British had burned the building down less than ninety years earlier is carefully avoided! The article ends with the description of a visit by the President to see his sick mother and there is a photograph of the scene ("an interesting photograph now published for the first time in this country"). "His second arrival at Canton is the scene depicted in the picture. 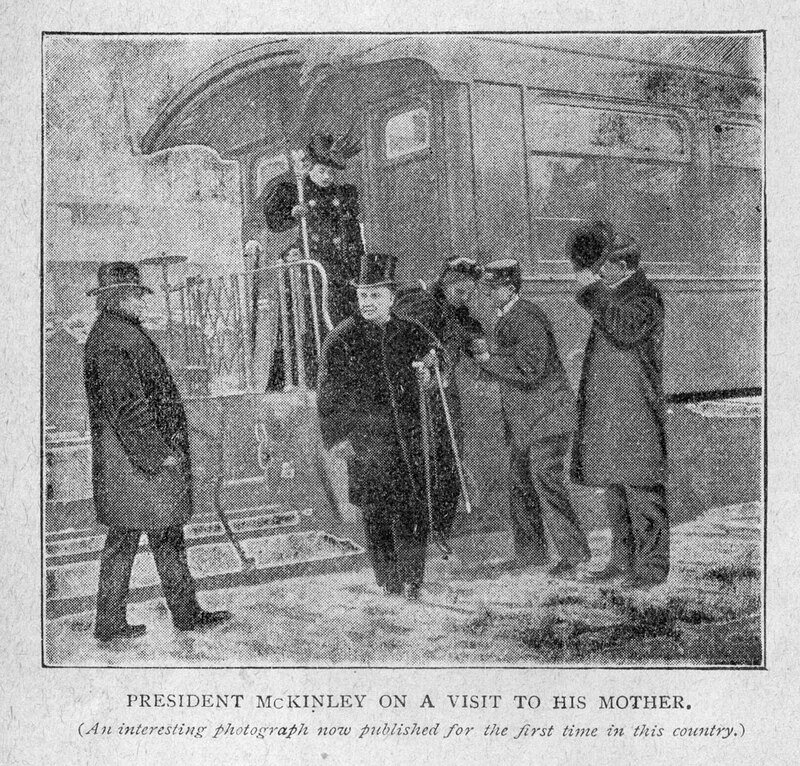 Those who have travelled with President McKinley will always remember his watchful attention to his invalid wife. He watches her every step and assists her every motion. For once in his long period of such devotion, for one brief second, he turned aside from her assistance. There is a look of questioning suspense in the President's face. He is asking with a glance: - "Is mother alive?". Abner McKinley, a brother is coming to meet the ruler of seventy millions, and in the President's eye there is a sad query as to the news from the bedside of their mother. It was just at this moment that the photograph was made, and it is an interesting history of a single second in William McKinley's remarkable career." By the time the article was published in Britain, McKinley's mother was dead. Within a few months of the publication, McKinley himself was dead, the victim of an assassins bullet. By 1904 Abner McKinley was dead and it was McKinley's widow, Ida the Invalid, who outlived them all. A few years ago I discovered psychogeography - the exploration of the physical environment based on the interaction of chance and individual perspectives. 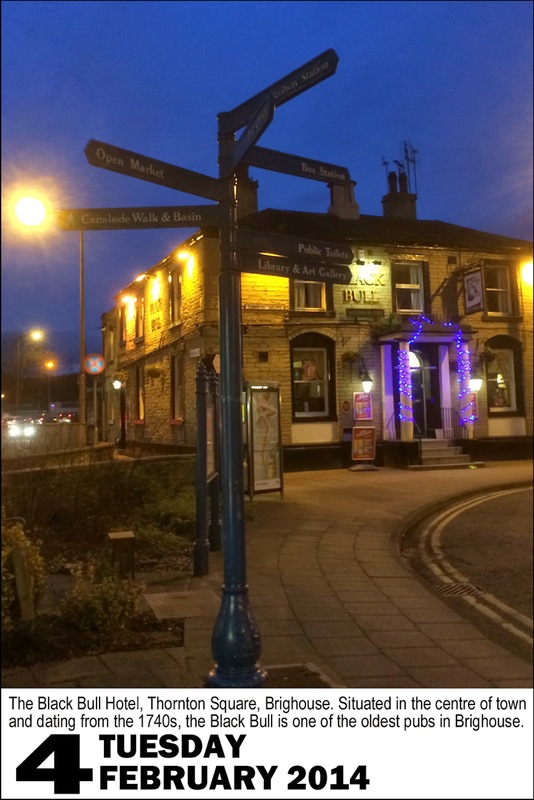 Or rather, psychogeography discovered me as I was contacted by some keen psychogeographers who informed me that my quest to discover my local county via randomly generated 500 metre squares (West Yorkshire in Ten Squares) was a good example of psychogeography. I have always preferred the haphazard to the planned, serendipity to programming : but now that it is raining outside I am experimenting with extending the approach to time travel rather than real travel. So say hello to psychohistory. 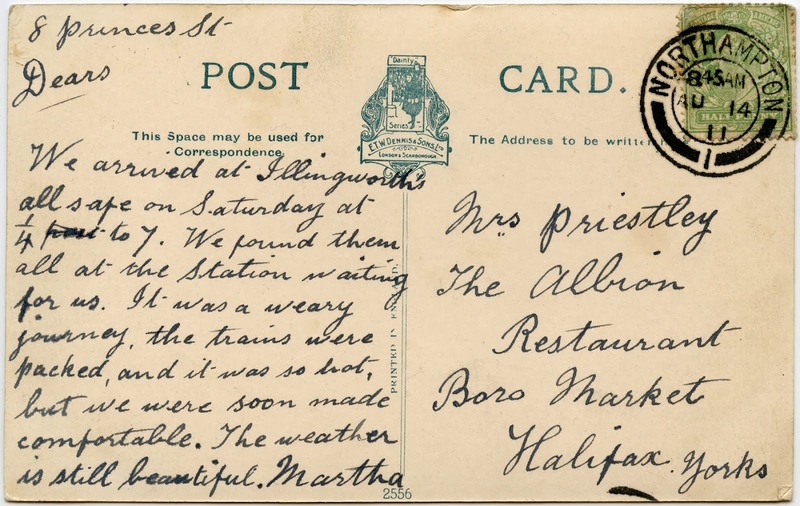 The card was sent in August 1911 to Mrs Priestley in Halifax (the antique centre was just outside Halifax, so that fits in). It appears that Mrs Priestley ran the Albion Restaurant in the Borough Market in Halifax. The market still exists, but the Albion Restaurant is long gone and it is difficult to imagine a restaurant in the bag-of-chips and mug-of-tea atmosphere of the busy market. 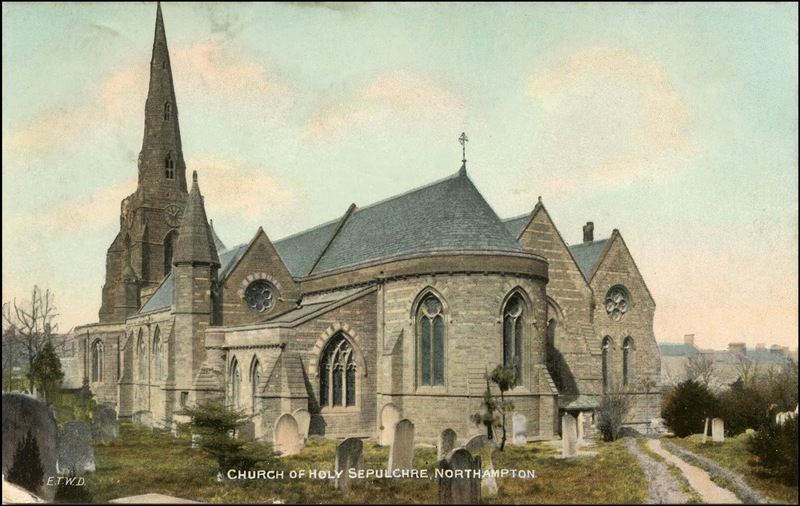 A little investigation suggests that Martha - the sender of the card - was staying with the family of Illingworth Grindrod, a Life Assurance Agent of 8, Princes Street, Northampton. 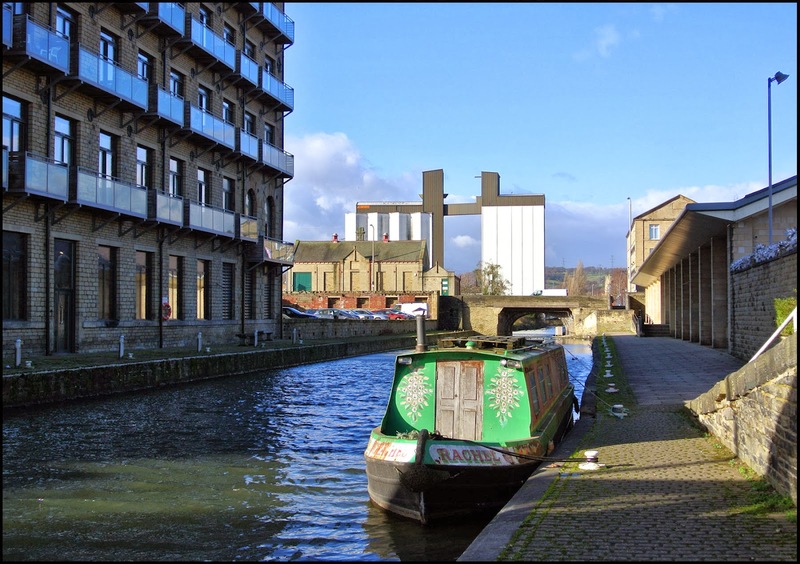 Illingworth Grindrod (what a wonderfully Dickensian name that is) had been born in Halifax and had lived there before moving to Northampton, so the chances are that Martha was visiting relations. And there we are : a little psychohistory can transport us back to that hot and humid day in August 1911 when Illingworth Grindrod and his family met Martha at Northampton Station. Just the kind of journey for a cold and wet afternoon in February. Sepia Saturday 214 : That's Entertainment. Sometimes a photograph is so good, so redolent of an era, that you will stretch any Sepia Saturday theme to an inch off breaking point in order to feature it. The theme this week features a man playing a piano. A piano provides entertainment and entertainment means a chapel amateur dramatic group or a concert party. 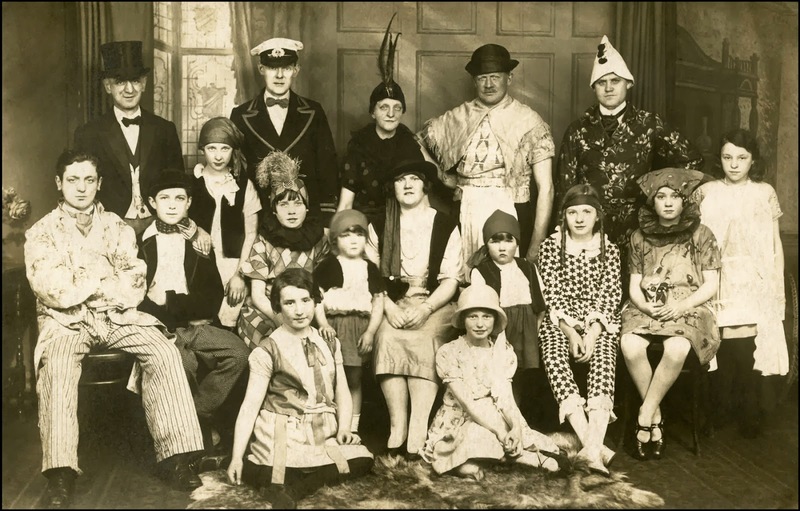 And here we have the cast of such a production from eighty or so years ago. I am not sure which chapel or church it was, but it will have been in Great Horton, Bradford. That is my grandfather, Enoch, second from the right on the back row, who - somewhat worryingly - is dressed as a washerwoman. And that, as all keen Sepians will immediately realise, is the one and only Auntie Miriam sat dead centre of the front row. 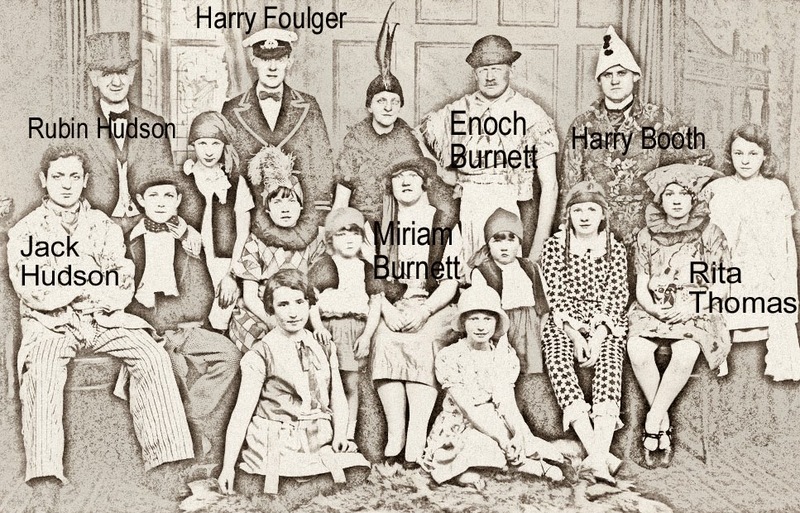 There was a pencilled note fastened to the back of the photograph which identifies one or two more of the participants. The names must come from my father, I seem to recall writing them down under his instructions. I think that Rubin Hudson was the father of Jack Hudson and that they kept the fish and chip shop in Townend, Great Horton. I am not sure about the others, but my guess would be that the photograph was taken in the 1930s. According to the records there was a Foulger family living in the area at the time and I am sure there were Booths and Thomas's as well. Whenever it took place and wherever it took place, it looks like a grand production; the very epitome of entertainment. If you can't make it out to see a concert party this evening, you could do worse that take a tour to the Sepia Saturday Blog in order to get some fine entertainment. I had half an hour to spare before the start of the Old Gits meeting in Huddersfield yesterday so I walked around the town enjoying the blue skies and sharp temperatures. 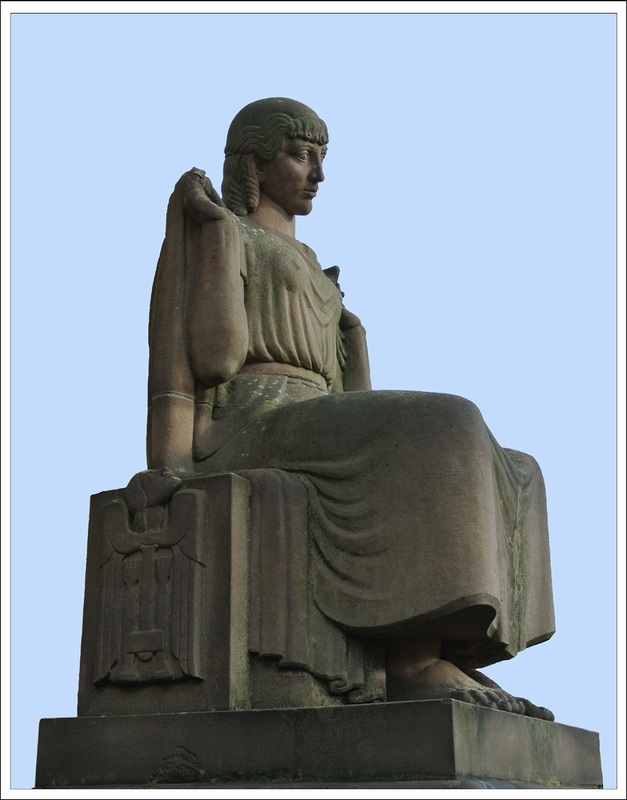 My photograph shows one of the two wonderful stone sculptures that flank the Central Library and Art Gallery. The statues, by James Woodford R.A. (1893-1976), depict the youthful spirits of literature and arts (I am not quite sure which this one is). Shortly after taking the photograph I was sat in the back room of the Sportsman in the company of my fellow Old Gits discussing books, films, art and music whilst washing the conversation down with flagons of ale. The youthful spirits should not have things all their own way. I am continuing my journey through 1914 with the local and regional newspapers of the United Kingdom as my guide. We arrive at February - Armageddon minus six months - and still the newspapers have nothing to say about the possibility of war. The Halifax Courier focuses on the exploits of Harold Wood, a railway shunter, of Selby. Breakfast, 11 am - A 3d loaf and a pound or so of bacon. 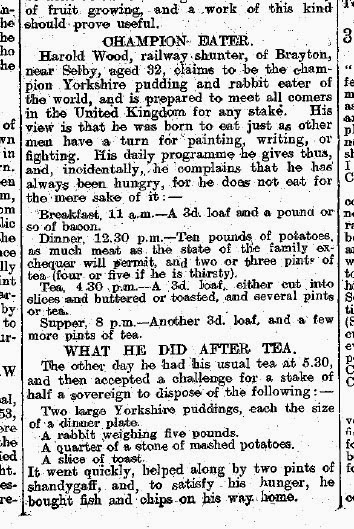 Dinner, 12.30 pm - Ten pounds of potatoes, as much meat as the state of the family exchequer will permit, and two or three pints of tea (four or five if he is thirsty). Tea, 4.30 pm - A 3d loaf, either cut into slices and buttered or toasted, and several pints of tea. Supper, 8 pm - Another 3d loaf, and a few more pints of tea. 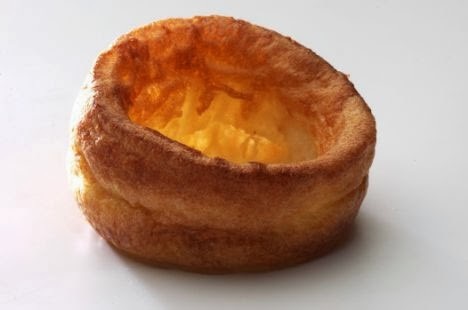 - Two large Yorkshire puddings, each the size of a dinner plate. - A quarter stone of mashed potatoes. - A slice of toast. It went quickly, helped along by two pints of shandygaff, and, to satisfy his hunger, he bought fish and chips on his way home. As far as I can tell, Harold Wood survived both the coming Great War and also the effects of his rather excessive diet. He appears to have died aged 76 in 1958. 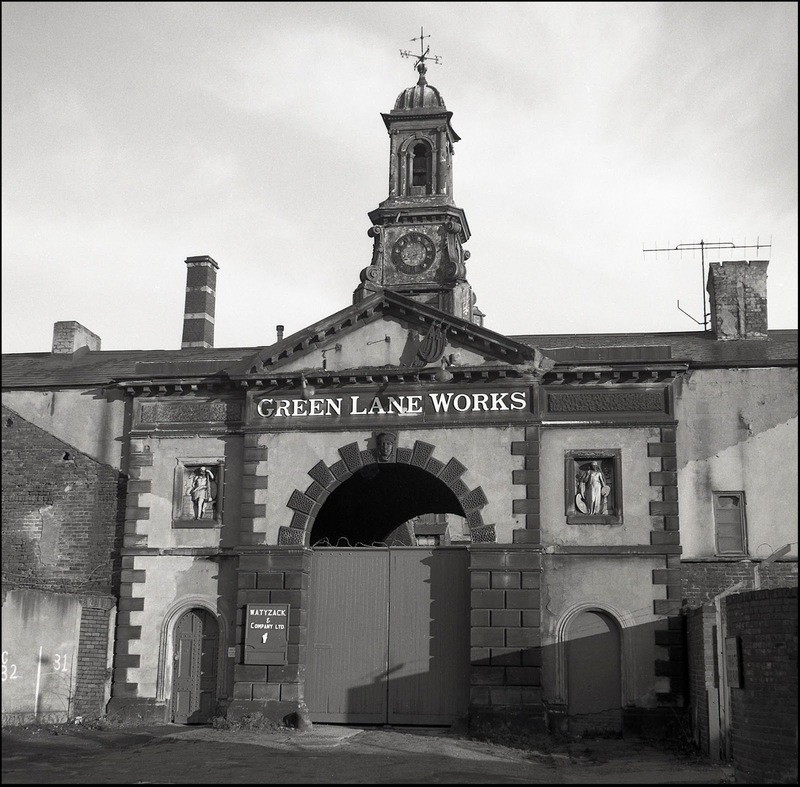 The main photograph is a recent scan of a shot I took back in the mid 1980s of the entrance to Green Lane Works in Sheffield. 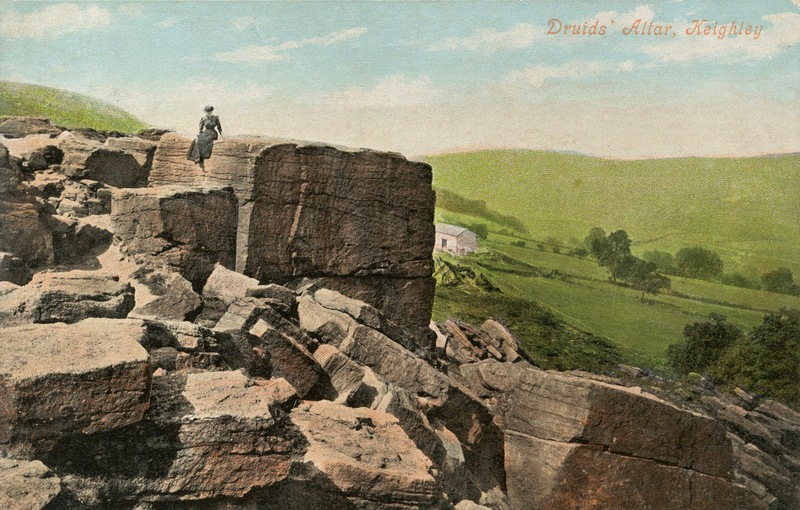 The old gatehouse had fallen into serious disrepair at the time, but was later restored as the second photograph shows. On my photograph you can make out the two recessed statues of Athena, the goddess of arts and crafts, and Hephaestus, the god of blacksmiths. 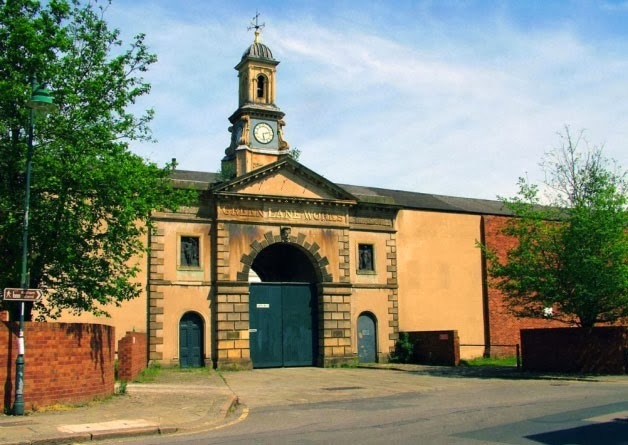 Green Lane Works was built in the 1790s by the firm of Hoole and Co who were manufacturers of stoves and fenders. Although the gatehouse is listed by English Heritage, it appears that it has once again fallen into disrepair and it was recently added to the national Heritage At Risk Register. If the structure seems somewhat familiar, you might recall that it was used as one of the locations in the film "The Full Monty", but your mind might have been on other things at the time. It was the cricket club Christmas lunch yesterday (don't ask, it's been a difficult year for English cricket). There was turkey and trimmings and crackers and some rather splendid Budweiser Budvar beer (the Czech one not the American one). 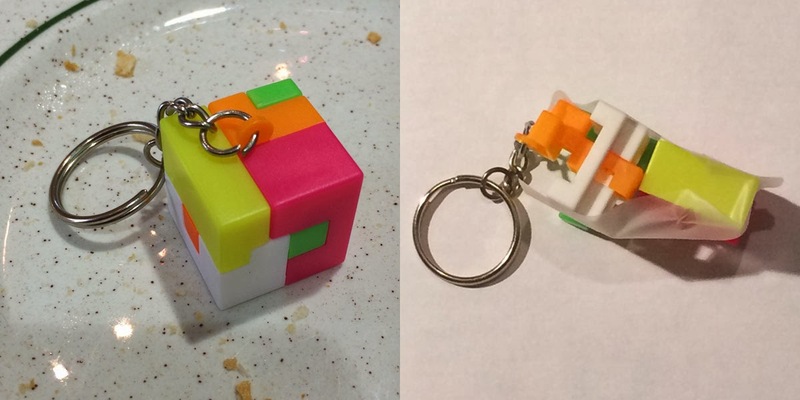 My Christmas cracker contained a rather nice plastic key ring which doubled as a puzzle. Spurred on by the first bottle of Budweiser (the Czech one not the American one) I decided to test my powers of deconstruction and reconstruction. "I wouldn't do that if I were you", said the adjacently seated Cousin Dave, "you'll never get it back together again". I should point out that the said Cousin has never had any faith in my technical or mechanical abilities, so I decided to prove him wrong once and for all .... after a second soothing bottle of Budvar (the Czech one not the American one). It was trickier than I expected and I had to resort to a third bottle of Bud (the Czech .... you know the rest) in order to improve my manual dexterity, and eventually I had to abandon the task until I had been taken home. Then, with a little help from some fine old malt whisky and some strips of sellotape, I eventually got it back together again as my second picture clearly shows. What this has to do with the first part of my post, I am not entirely sure. But I suppose I have been conducting a bit of an inquest into what happened at the cricket club Christmas dinner and I would like to stress that, along with Mrs Wade, I had nothing to do with it.